The bottle for the month of April came from the beautiful Belgian haven/heaven of perfume called Place Vendome. Guerlain Cuir Beluga is such an elegant and comforting as well as comfortable scent, I just had to have it. All complaints (including The Husband’s) are to be addressed to Tara. So do you want to try those two very different leathers? Leave a comment on this post stating a little indiscretion of your own, a little rule-breaking you are guilty of and you are in the draw for 2,5ml samples of Cuir Beluga and Cuir de Lancome. The giveaway is open until May 2, the winner will be announced on May 3. Good luck and I’m looking forward to your answers! This entry was posted in Collection Photos, Guerlain and tagged Collection Photos, Guerlain. Bookmark the permalink. Ooh, I’ve always wanted to try Cuir Beluga! Let’s see… a little indiscretion of my own? There are many. Oh, I know! I seem to be listed twice on Kilian Hennessy’s wonderful sampling list, and I haven’t ‘fessed up. Oh, this one is easy and actually partially related to you. I’ve promised myself that I can only buy a new fragrance if I finish two I already have. My collection is too big and not focused enough. I want to have a smaller stash with a better rotation. Anyway, I went and smelled Frederic Malle’s Dans tes Bras and bought it on the spot. A few weeks later I fork out what I needed to get my hands on that bottle of Armani Privé Bois d’Encens you sold – unsniffed. Oh, forgot the detail about not finishing any old bottles before those purchases. Thank you, that is lovely of you, Christos! I need all the support I can get! And Cuir de Lancome is my absolute favorite now, it is wonderful! Good for you! I long for Copper Skies and I really want to try the others! One doesn’t want to become to much of a stickler with rules, life would be no fun. I do not include garage sale purchases in my perfume budget if it’s under $10 and something I want. I consider it a gift from the perfume gods and one doesn’t want to be ungrateful. Both these fragrances, I have never seen,let alone smelt,so would be great to have that opportunity.My indescetions,well doing a shopping centre perfume sample haul and seeing how many I can collect in one visit from the various shops in that centre,is my idea of a goody bag and somehow justifies the cost of the ripp off prices of mall parking in South Africa. Good luck in the draw, René! Good on you Birgit! I wholeheartedly approve of your rule breaking. I have an unopened bottle of Cuir de Lancome here awaiting an opening ceremony, so please don’t include me in your draw today. Good luck everyone. 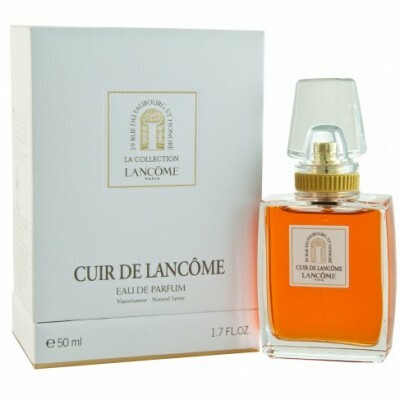 Enjoy your Cuir de Lancome, it is gorgeous! Enjoy both your glorious leathers and good luck to everyone entering your wonderful giveaway. My biggest indiscretion involves my favorite accomplice, my husband. He travels overseas and I always send him with a wish list. For the longest time, he thought it could be fulfilled at duty-free. I have numerous bottles from sales personnel that told him ‘it’s smells just like “x”. It makes for a good story and laugh. Thank you for the draw. I was a very good boy in March and April and did not buy any bottles or samples (so no indiscretions to confess)… however, I will be going to Paris in a week and won’t hold back there. Chanel Les Exclusifs and Mon Numero here I come! Oh, great! Have fun in Paris and indulge, indulge, indulge… You have the offcial Perfumista indulging permission from all of us! Today I went to Milan to pick up my made-to-order shoes and belt and while I was at it, I indulged at La Rinascente’s perfume floor. After smelling a lot of new releases and after browsing the men’s designer section, I bought a 75ml bottle of La Pausa. The sales staff at the Chanel counter was so nice, I just had to buy something from them and they in turn gave me lots of gifts with purchase. I could not be happier. Oh, that sounds like a lovely day indeed! I adore La Pausa, but I just can’t make up my mind to buy it, since it is soooo very fleeting on me. 😦 I’d love to have a bottle though, and if money were no object I’d splurge on a 200ml one and drench myself regularly. Hm, why have I thought you have a FB of CB already ? Enjoy, both of them. Partial bottles are the best – cheaper but you have the bottle too! Some wonderful purchases for the month of April! Please don’t include me in the draw. Enjoy your new perfumes! I cant say that I have broken any rules lately, but I guess you would have to observe them to break them 😉 I am actually trying to relax on those self imposed rules. They keep me boxed in, and I am needing expansion. I am absolutely all for you buying whatever you see fit, to fulfill your olfactory needs. You owe it to your readers and to yourself to explore and experience what ever will take you deeper into the realm of beautiful scent. Yaaaaaay to Tara, for being a “bad influence”!!!! I want to try them!!! I do I do!!! My fingers are crossed!!!! That is a perfect excuse – I owe it to my readers! 😉 Thank you, Arline! Just starting to explore leathers. Bought Lauder’s Azuree, which my husband immediately claimed. So I comforted myself with Jolie Madame, which I love. What next? 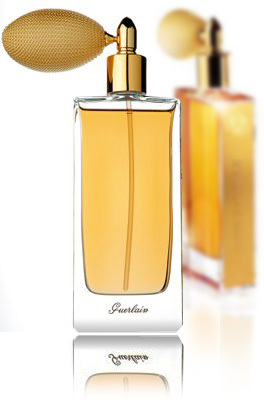 As for an indiscretion: I would say that buying two vintage bottles of extrait on eBay at the same time, L’Interdit and Arpege, could be considered as such. Not very good for the budget, and totally risky! Wow, great finds on ebay! Congratulations, Nina! I’ve recently become interested in leather scents, so I would love to try either of these! As for an indiscretion, I purchased a bottle of #19 from a Chanel store, and begged shamelessly for the minis they have for the Les Exclusif line. After the SA generously and patiently put a couple in the bag for me, I went home and put them on Ebay, and they essentially paid me back for my entire purchase. Actually, I’ve been feeling pretty guilty about it, and if the SA is reading this, I promise I will never do it again. I Promise. Really. You are quite business savvy! 🙂 But don’t feel guilty, the ebay buyers are happy and so are you – all good. I adore Cuir Beluga as I tried it from a friend who worked for Guerlain. I believe it is the best of the exclusive line. I have never however sniffed Cuir de Lancome. I wonder why I have never heard much about it? Anyway……I’d certainly love to. Thanks! Cuir de Lancome is awesome, definitely worth a try. Good luck to you! I should do more serendipitous stumbling, it sounds lovely! There is one “escape” I have; the money I get by selling things online I no longer have a need for , goes right into the perfumebudget. So once in a while, it’s Christmas in may or august! I’d love to be included in the draw, I’m very curious about these two. fingers crossed! I hope it is Christmas again for you very soon! And good luck in the draw of course! My latest indiscretion was with Olympic Orchids Artisan Perfumes. They do not sell spray samples, only non-spray, so I asked if they might be adding spray samples in the future. She liked the suggested and decided to add sprays, so–oops!–I just had to order a whole sample pack instead of just one or two samples : ) I’d love to be in the draw. Thank you! You are in of course! Let us know how you get on with the OO samples! Hee! We shall have to see how many it gets passed along to before it runs out! Once upon a time I had a scientist husband who traveled the world to go to conferences and make speeches. Since we could not afford for me to go with him, he went shopping and brought me perfume as a way to include me in his travels. He has passed away, and no one makes choices for me any longer, so I would love to have a chance to experience scents someone else has chosen. Both of these sound wonderful. What a beautiful story, Anita! I’m sorry for your loss. I’d love to send you those two perfumes. I’d say the Lancôme buy was a scientific necessity, you always need a reliable reference! I told my husband that I bought my bottle of “Lyric” while sleep shopping when taking Ambien. He believed me. He hid my Ambien. 🙂 I’d LOVE to try these! hahaha, that us a truly creative explanation. Would love to have a chance to smell Cuir Beluga and Cuir de Lancome! I like making rules but to be honest I like even more when I’m breaking them! I like your rule of one bottle a month,I adopted it and so far I’ve been pretty good! I’m not counting samples, mind you! But I’m afraid the month of May will see two purchases(because I have a voucher for Etat Libre d’Orange, but I also desperately want a travel set from Hermessence), and June will see the same(because I’m on my holiday and I won’t be able to resist temptation).God help me and my bank account! Well I replinshed 1 almost empty bottle and one broken bottle of Serge Lutens last week as well as a bottlte of Santa Maria Novella’s Cuba. I also ended up with a multitude of bought and free samples from which I bought a bottle of Il Profumo’s Choclat and Payard’s Lychee fruit. Broken bottles need to be replaced of course. 🙂 Nice haul! That is very selfless of you, Dionne! Buying unsniffed can be very rewarding, if risky. What samples we order from Paris is secret. 😉 So you still are a good girl… Good luck! I recently ordered Cuir de Lancome un-sniffed (thanks to Tara), and I absolutely adore it. In fact, I’ve been wearing it more than anything else I have, and if I had to choose one scent to wear as my signature, that would be it. As I’ve watched the level of the liquid lower in the bottle over the last month, I’ve started to get paranoid about not being able to get more or it becoming harder to find and more expensive in the future. So I went ahead and ordered two backup bottles. I didn’t exactly break a rule, but I feel a little guilty for stockpiling, especially when I’m relatively inexperienced and still eager to explore new scents. But I don’t feel too bad, since it is so inexpensive, and I love it so much. Needless to say, I don’t need a sample of Cuir de Lancome, but I would love to try the Cuir Beluga! I just realized an indiscretion that I hadn’t even noticed I was doing. Any partial bottle I buy doesn’t count toward “buying bottles” even though often they are over half full…much over half. I would love to try Cuir Beluga. I’d Love to smell Cuir de Lancome! I am very spoiled by my fiance-he has helped me break my limited number of fumes many times! In fact, he just purchased me all four bottles from the anthropology set of A lab on fire (unsniffed!). My personal rule is that I must finish a bottle before I am allowed to purchase another…samples on the other hand are a whole other story!! I must have boxes and boxes of different kinds of samples! Samples have a way of multiplying seemingly on their own, don’t they? I’m pretty well-behaved these days but a recent indiscretion – or rule breaking – was the purchase of your Flora Nymphea, which I’m enjoying more and more all the time. And it looks so adorable on my dressing table. That is my other indiscretion, I guess. I know I should get it out of the light but I just can’t bring myself to. Cute little bee on the cap an’ all! The bee on the AA bottles is adorable! I’m so glad you enjoy the perfume! You must try CdL, I’m sure it is totally your thing! I’ve also started slowly getting into the Cuirs – I started with a sample of Chanel’s Cuir de Russie and now I must sniff more! Congratulations! Cuir Beluga is on my to buy list as well. I have a small sample that I’m enjoying immensely. In the meantime, I’m reveling in Tonka Imperiale and Bois d’Armenie. The L’Art et Matieres are almost all very good. Best of luck in the draw, Gogol! I would love to try thse perfumes. My indiscretion is always buying unsniffed, because I just cannot wait before I buy, and here I can’t smell most things in person. Mostly I am lucky with my buys though. Great blog, Olfactoria! thank you! great that you have been lucky with your purchases so far. Oh, i just had an indiscretion yesterday. Bought 2 full bottles because they were limited editions and there was a gift with purchase: Jo Malone Plum Blossom & Assam & Grapefruit. Would love to be entered in the drawing! Who needs “a little rule-breaking” when you can do a large-scale one? 😉 I recently bought La Femme Bleue unsniffed. No need entering me into the draw: I tried both perfumes and I will need to buy a decant of Cuir Beluga (as soon as I find another split) and I plan to buy a bottle of Cuir de Lancome (as soon as I’m done with the remaining sample and accept that I won’t be able to see my NY resolution through). Wohooo! What an absolutely great purchase! I’m sure you are not regretting it! (Are you?) It is a wonderful perfume and its scarcity justifies extreme measures. The only thing I’m regretting is not buying it a day or two earlier – because it missed my perfume mule by that much and I had to sattisfy my curiosity by using up completely a sample I bought together with the bottle to be able to test the perfume without opening the package – in case I do not like it. I loved it! So thank you for the final nudge with your beautiful review. I love your blog but realize how inexperienced I am in the vast world of perfume after reading your posts. Unfortunately, I live in a “backwater” city that rarely carries any of the fragrances you mention but I am learning how to receive samples via mail order and enjoy researching their background via the internet. This Sunday, however, I was in the mood to experience a new scent for the approaching warmer weather and was totally smitten with Bond No. 9’s Coney Island. Instead of wearing a sample for a few hours and then buying a smaller size bottle, I walked out of the store with the 3.3 fluid ounce bottle after only a few, albeit deep, sniffs. Thankfully, I am loving it (no buyers remorse here) and perhaps my psyche knew what it needed.. The sould know waht it wants, no doubt! 🙂 Good for you! If Coney Island makes you happy, it is the right thing. imaginary future months…please enter me in your draw. You are entered Amy G.! Buying unsniffed is like bungee jumping for this niddle-aged lass. I take my thrills where they come. Thanks for the draw. Haha, very good motto for the purpose. Good luck in the draw!